You may have a feeling that money doesn't go quite as far as it used to. Well, you're not wrong. Inflation is a core part of the economy, and many economists say that a small amount of inflation is a sign of a healthy economy. It is certainly better compared to deflation, which discourages investment, leads to reduced demand, and therefore unemployment (and depressed wages). 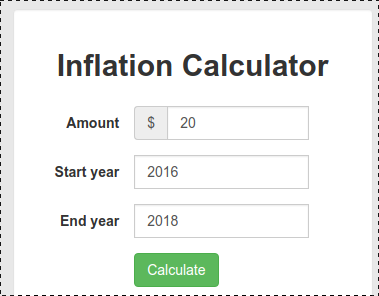 In order to compare your wage from year to year, you should use an inflation calculator and plug in your wage numbers. The result is that $20 in 2016 is equivalent in "buying power" or "purchasing power" to $20.88 in 2018. In other words, you'd need to make $20.88/hr today in order to have the same quality of life. 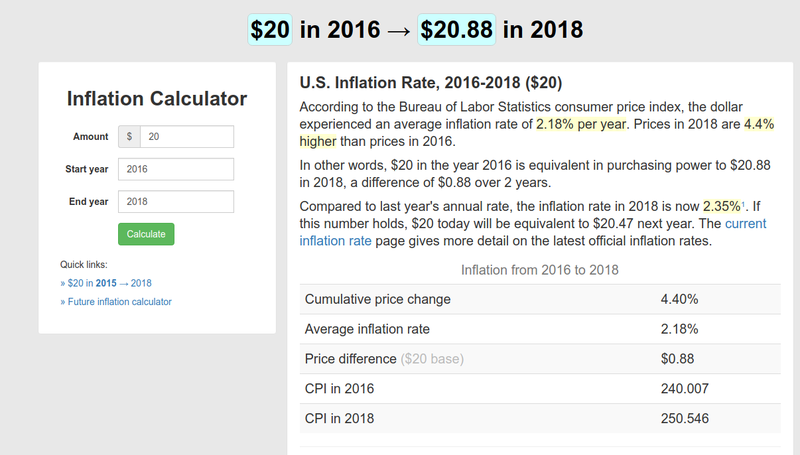 This calculator uses the Consumer Price Index (CPI) measured by the federal government. It's an average across many cities in the United States. It goes without saying that quality of life and cost of living vary widely by location, so keep in mind this calculator isn't necessarily calibrated to your exact situation. Regardless, it should give you a baseline of what to expect.